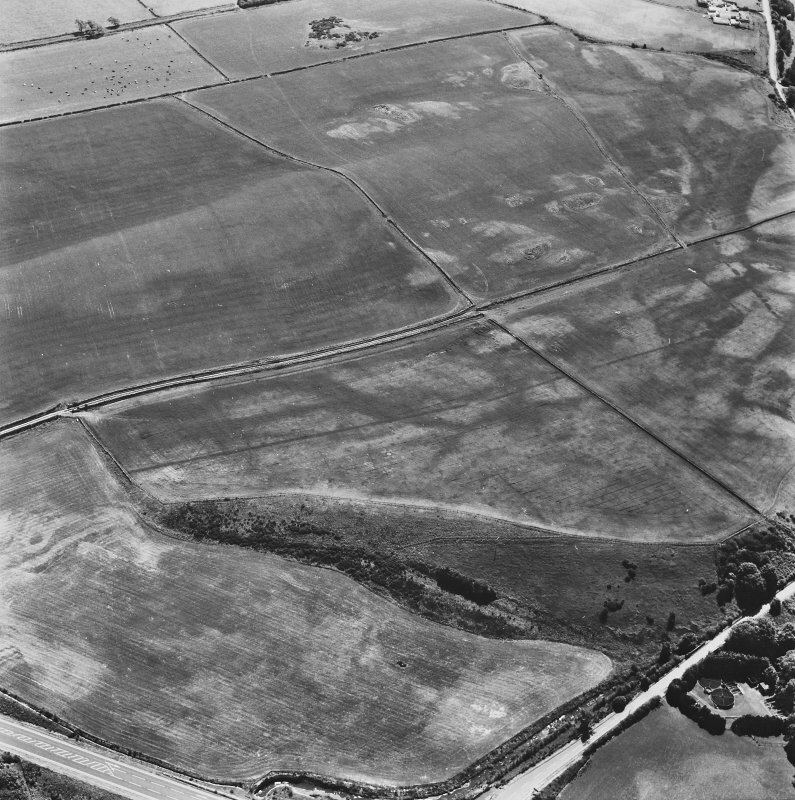 Oblique aerial view centred on the cropmarks of the Roman temporary camp with quarry pits adjacent, taken from the NNW. 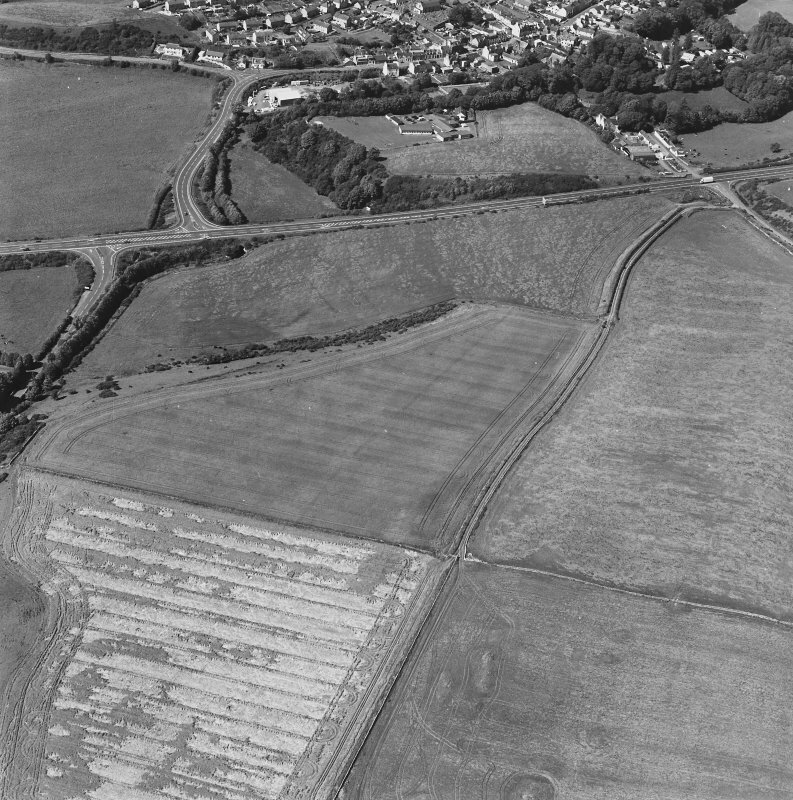 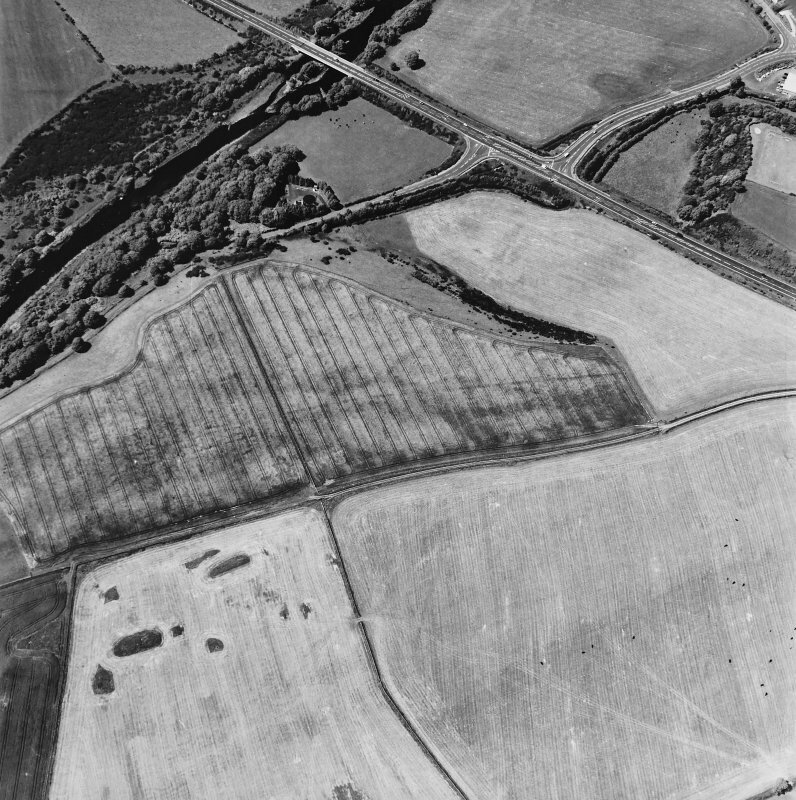 Oblique aerial photograph of Glenluce taken from the SSE, centred on the cropmarks of a Roman temporary camp. 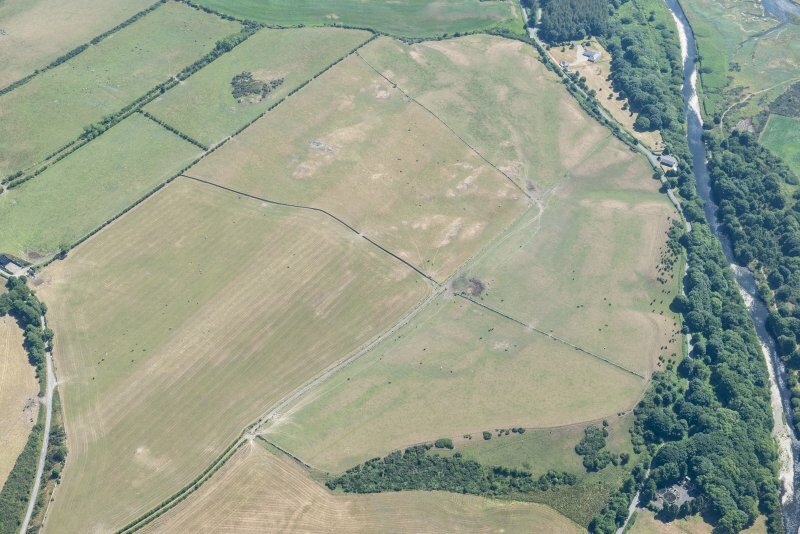 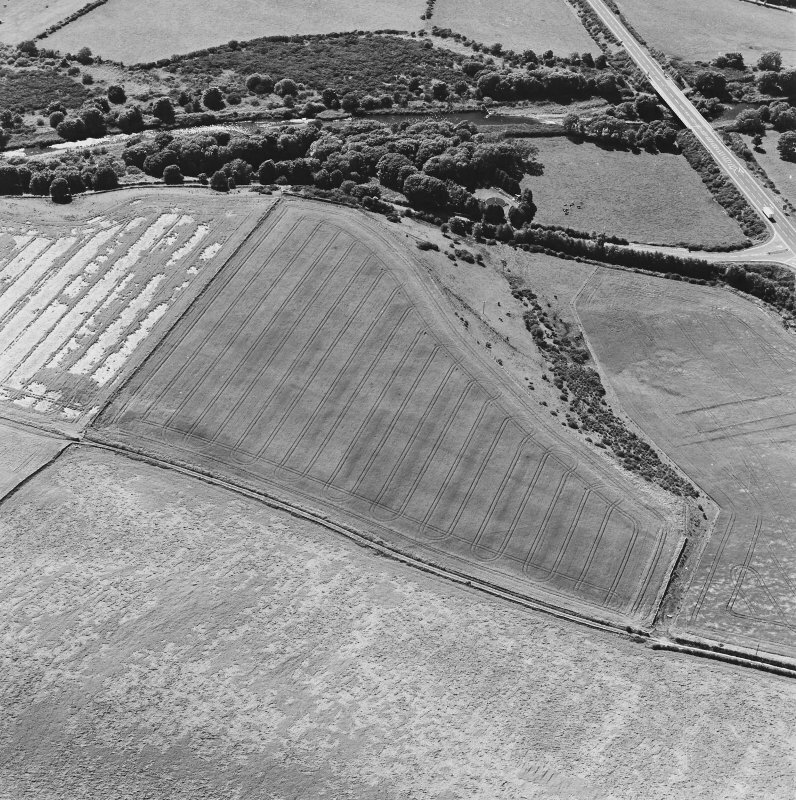 Glenluce Roman Temporary Camp, oblique aerial view, taken fom the ESE. 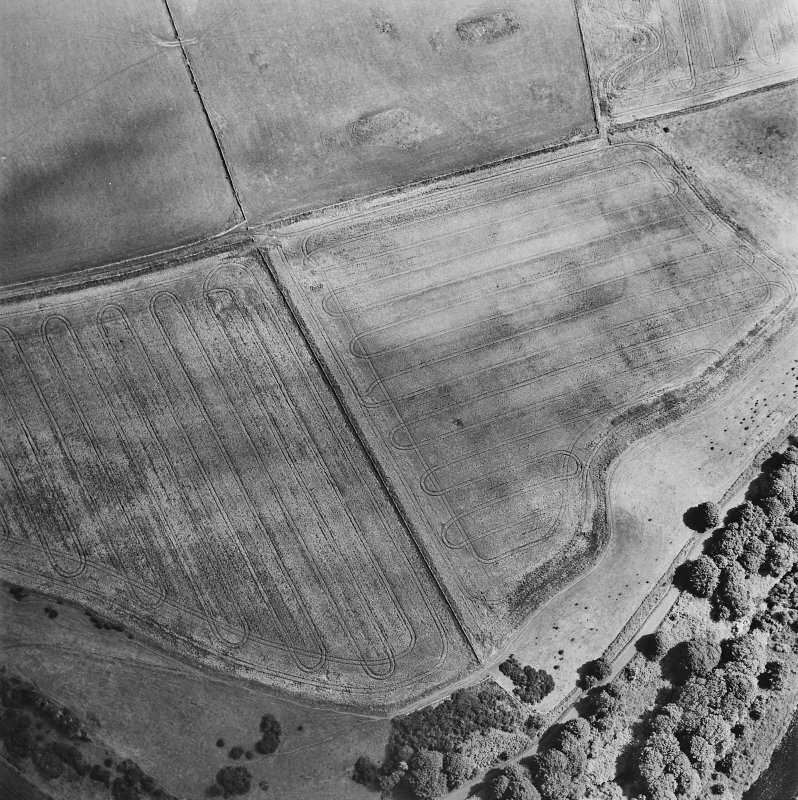 Oblique aerial view centred on the cropmarks of the Roman Temporary Camp, taken from the ENE. 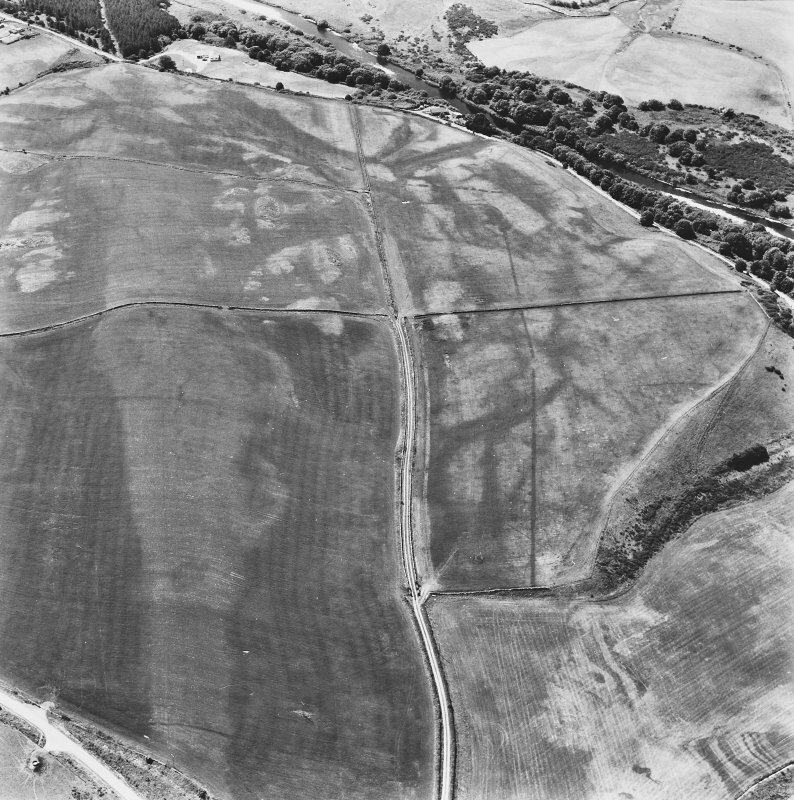 Glenluce Roman Temporary Camp, oblique aerial view, taken fom the SE. 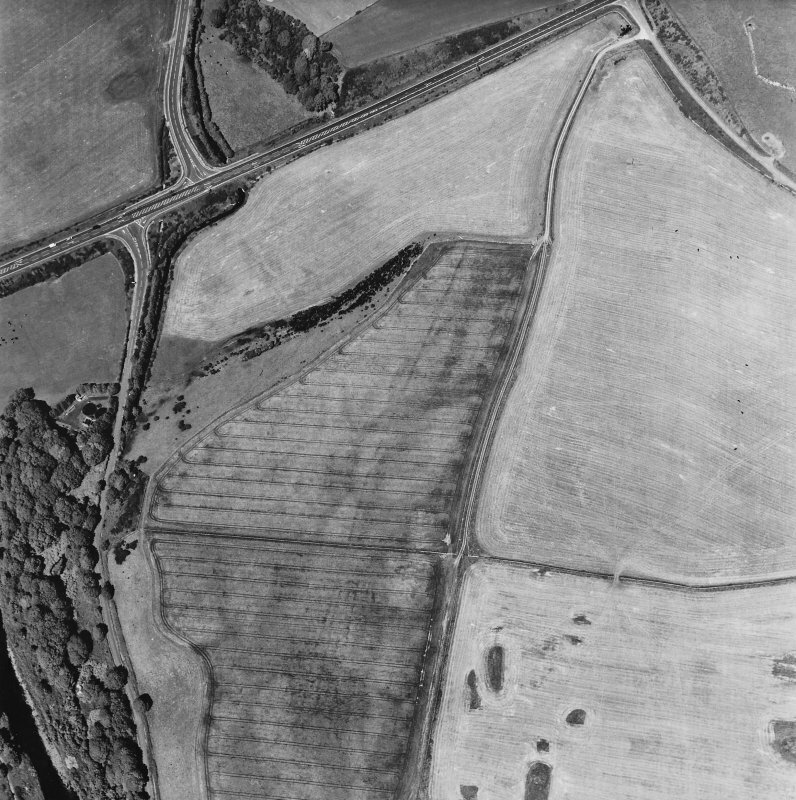 Oblique aerial view centred on the cropmarks of the Roman Temporary Camp, taken from the NNE. 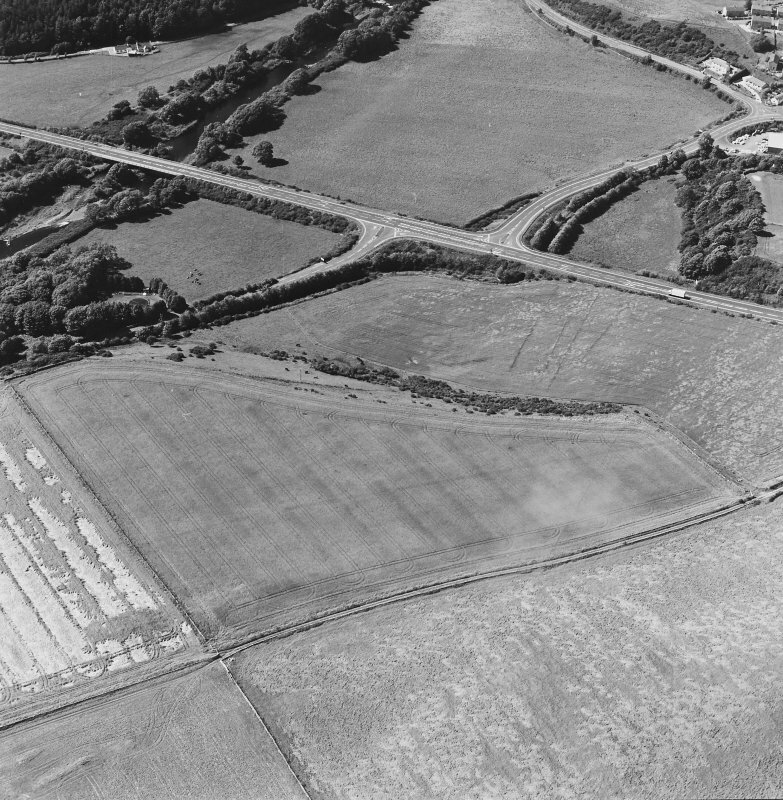 Glenluce Roman Temporary Camp, oblique aerial view, taken fom the NNE. 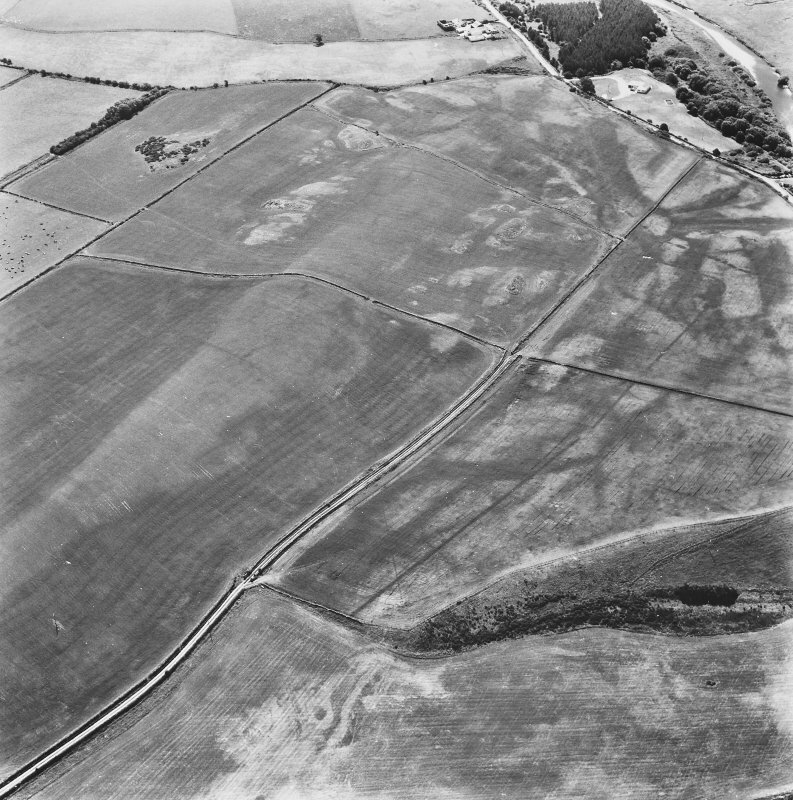 Oblique aerial photograph of Glenluce taken from the SE, centred on the cropmarks of a Roman temporary camp. 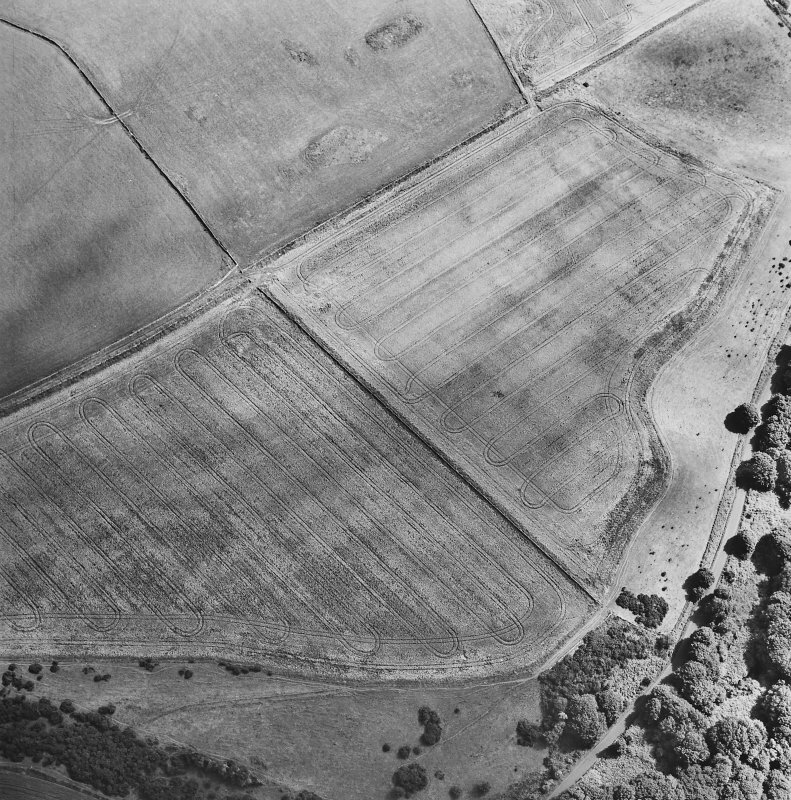 Oblique aerial view centred on the cropmarks of the Roman temporary camp with quarry pits adjacent, taken from the NW. Glenluce Roman Temporary Camp, oblique aerial view, taken fom the SSW. 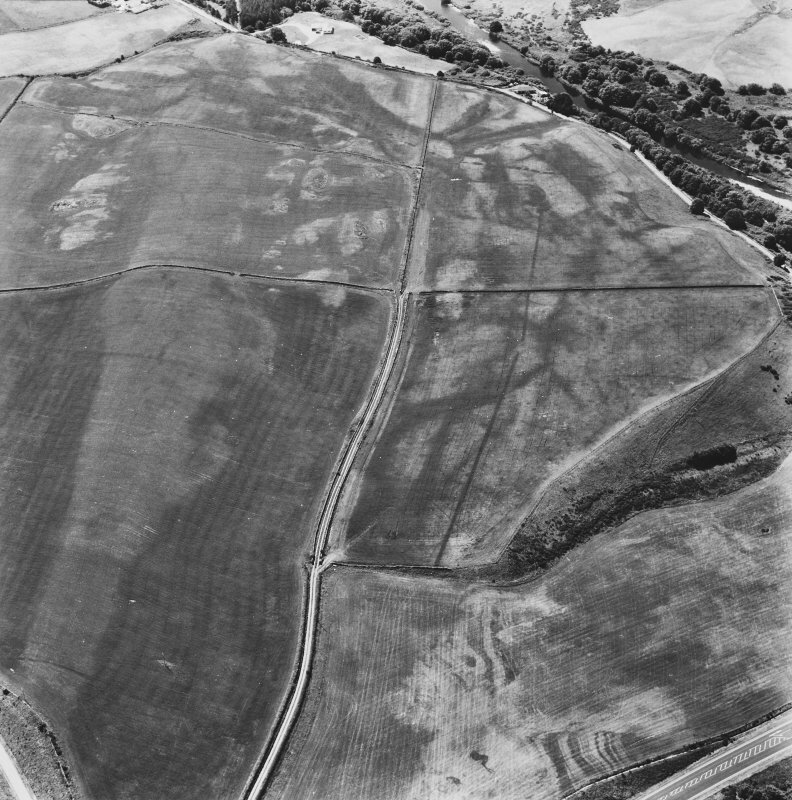 Glenluce Roman Temporary Camp, oblique aerial view, taken fom the S.
Oblique aerial view centred on the cropmarks of the Roman temporary camp with quarry pits adjacent, taken from the NNE. 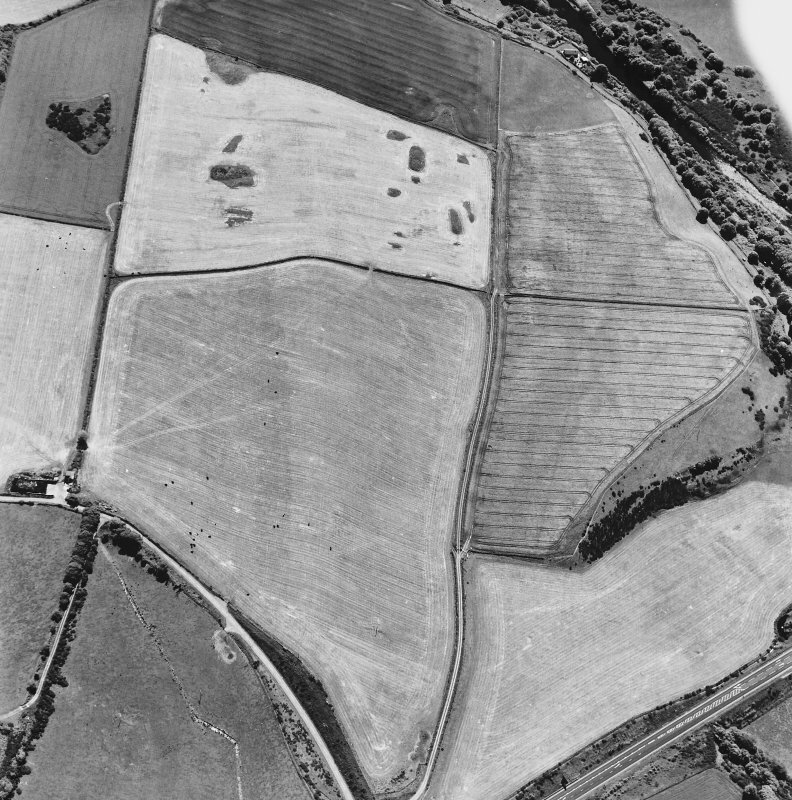 Oblique aerial photograph of Glenluce taken from the E, centred on the cropmarks of a Roman temporary camp. 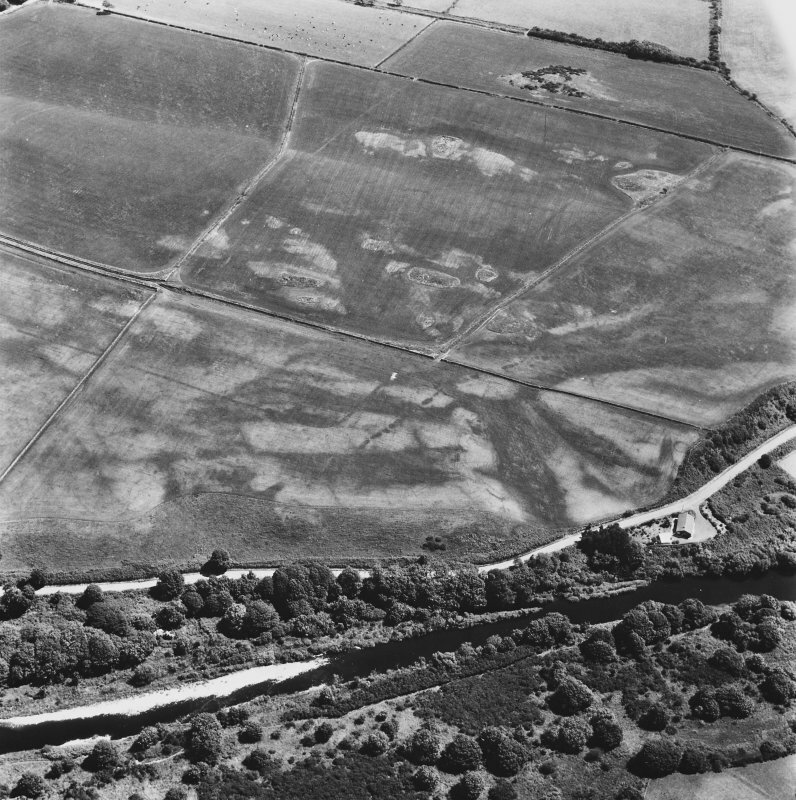 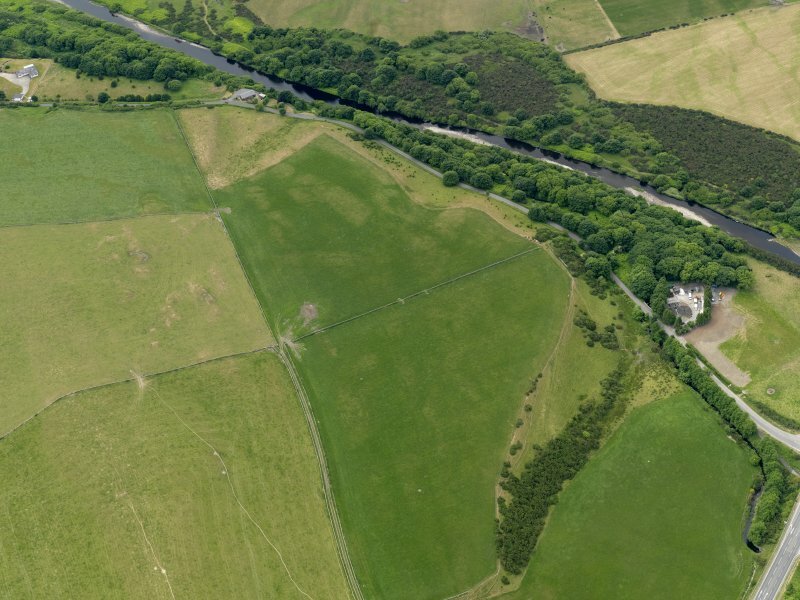 A marching-camp on the left bank of the Water of Luce has been revealed by RCAHMS aerial survey. 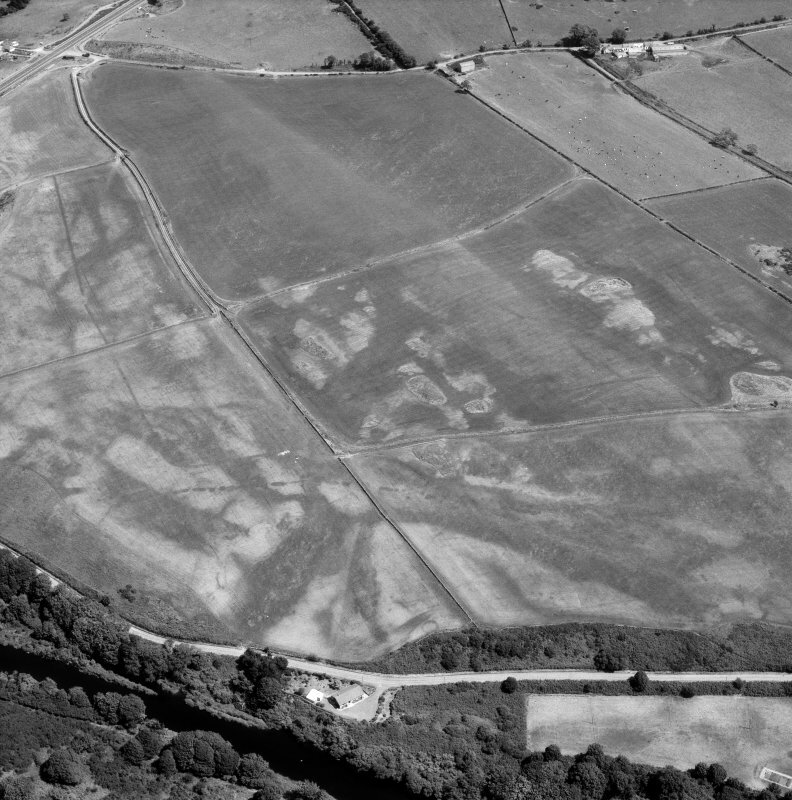 About 400m of the NW side, 220m of the SE side and all of the SW side, about 400m long, have been recorded. 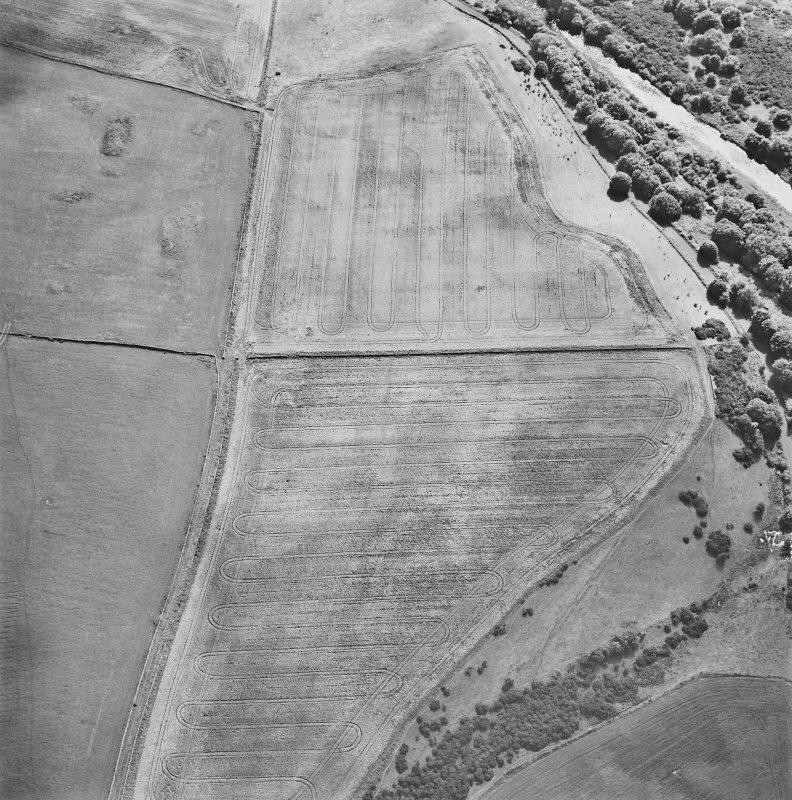 The position of gates in the NW and SW sides suggests a camp with a roughly square plan of 40 acres, facing NW towards the crossing of the Luce. 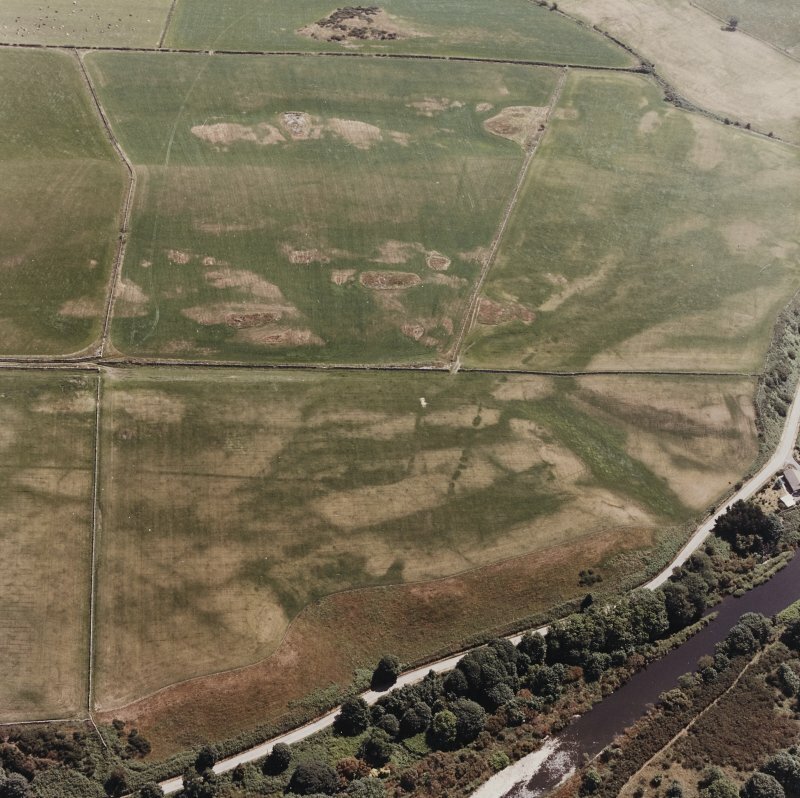 LJ F Keppie 1993 (RCAHMSAP 1992). 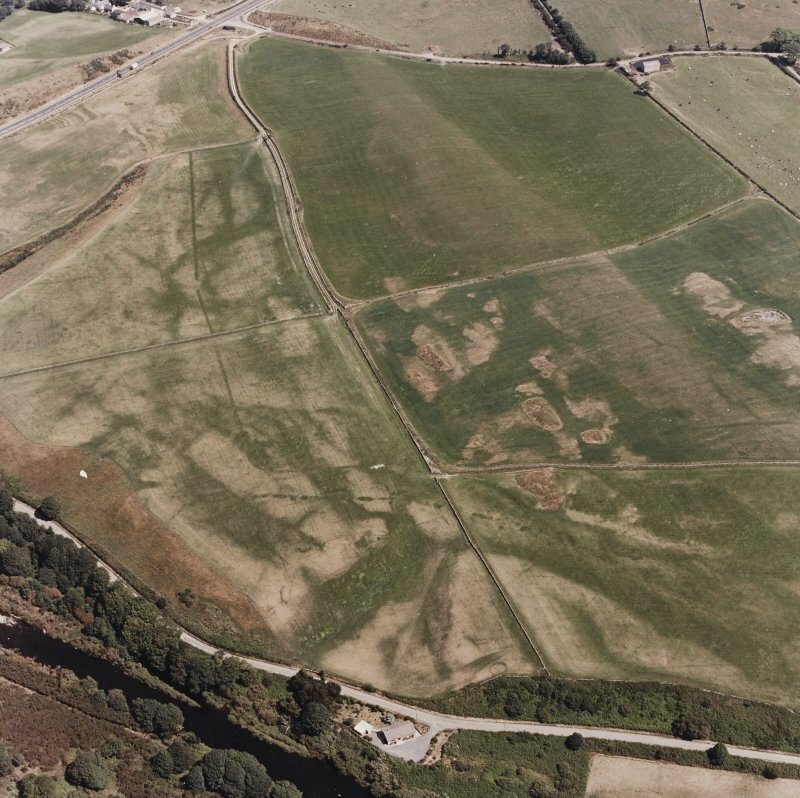 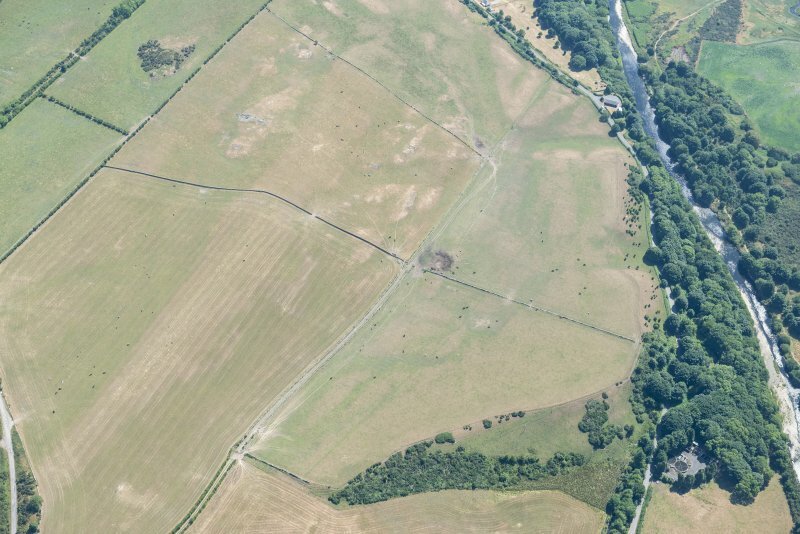 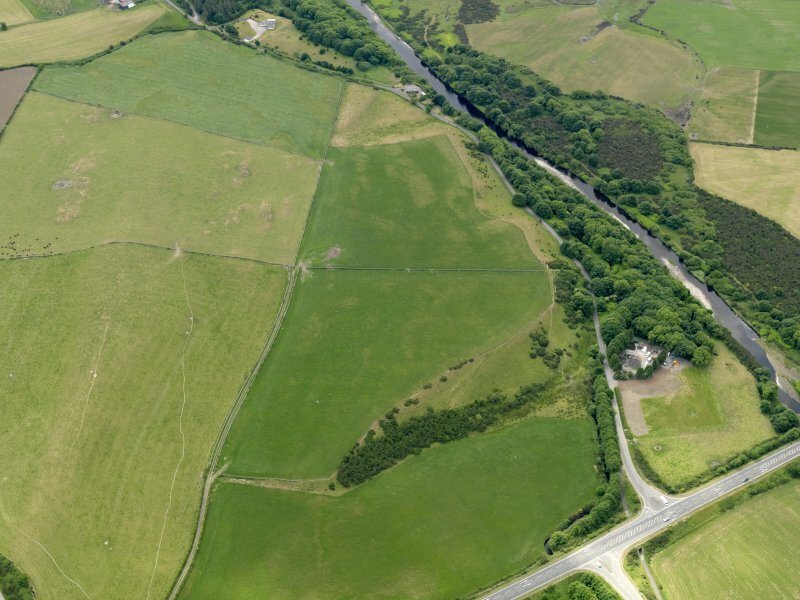 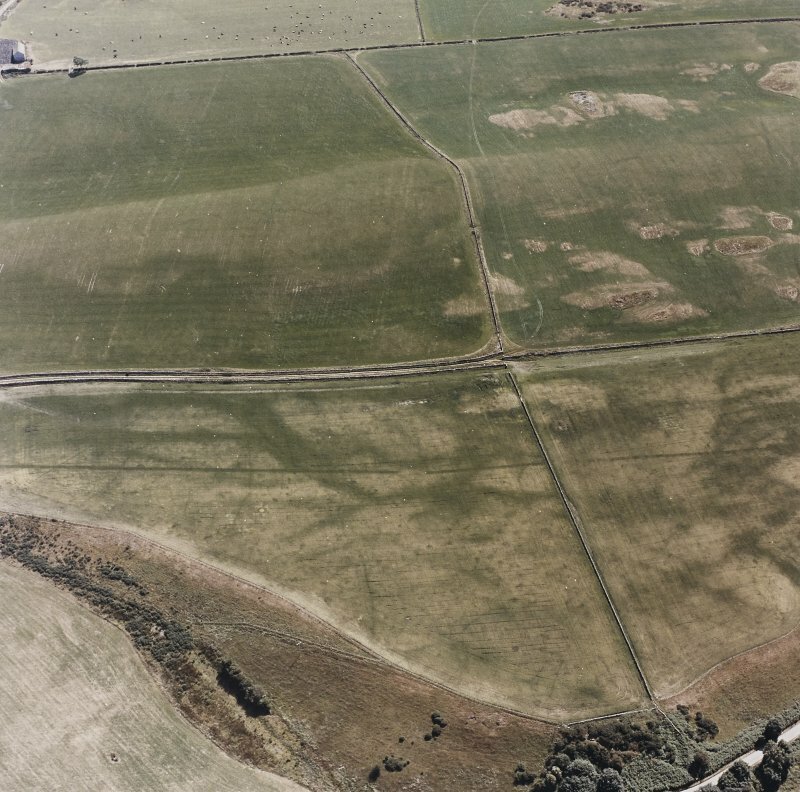 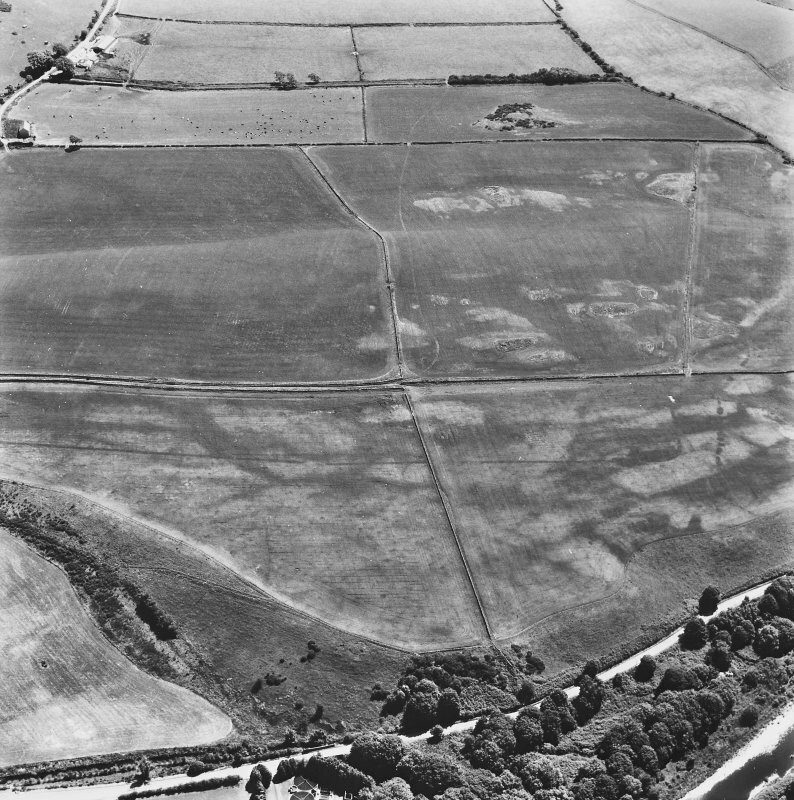 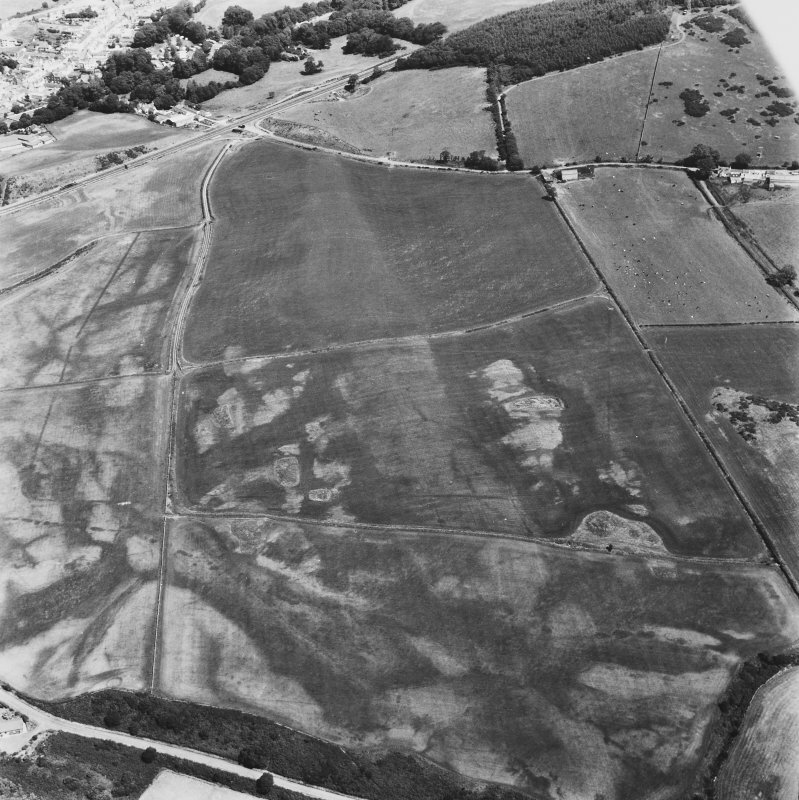 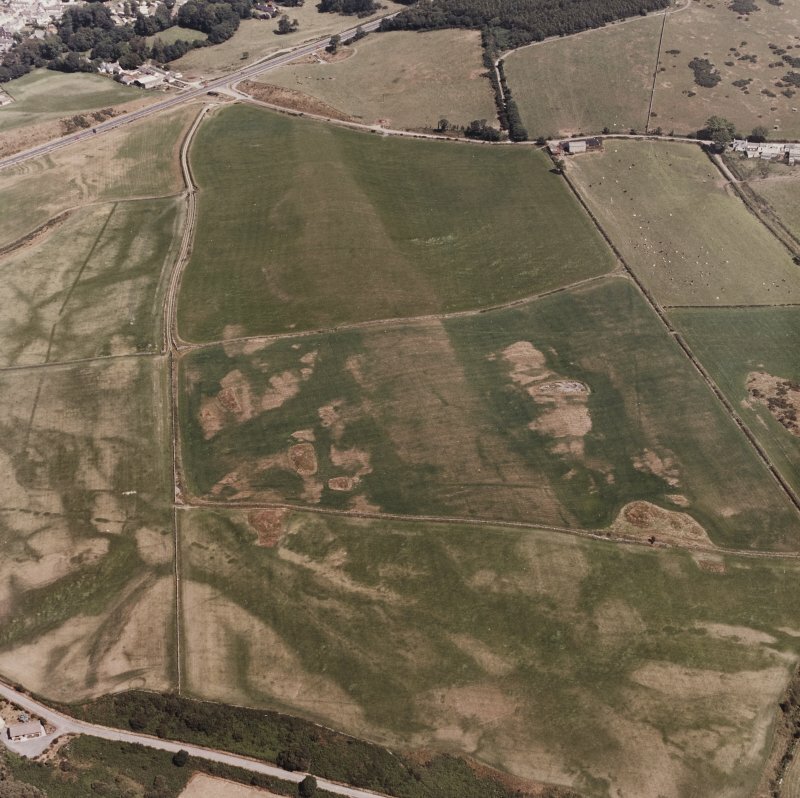 First recorded through cropmarks in 1992 by RCAHMS, the camp at Glenluce lies on sloping ground east of the Water of Luce, close to its confluence with the Solway Firth at Luce Sands. 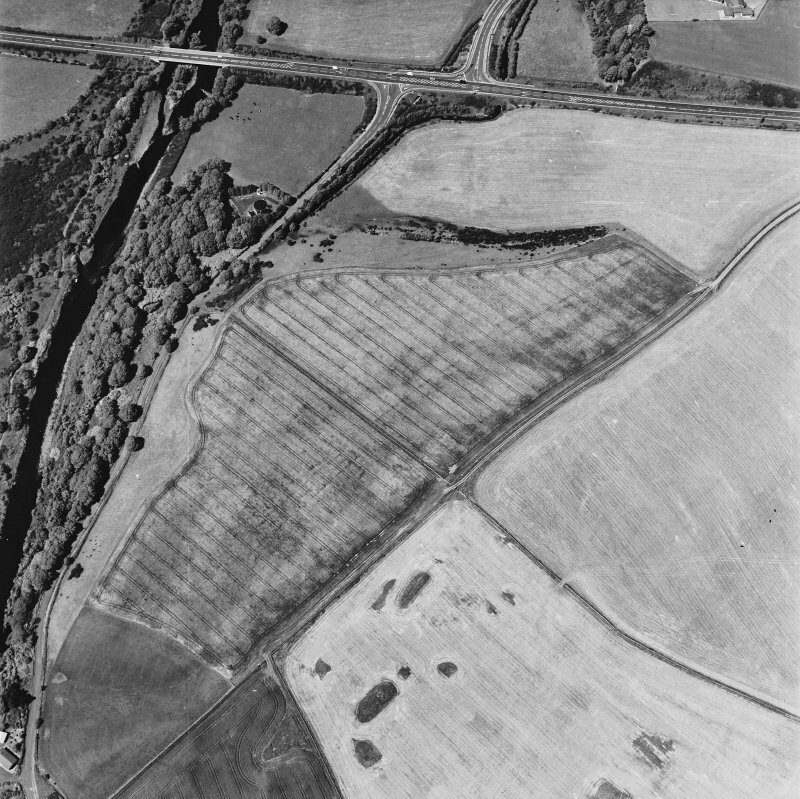 It lies immediately north of the Roman road from Glenlochar to Loch Ryan, evidenced by the cropmarkings of quarry pits. 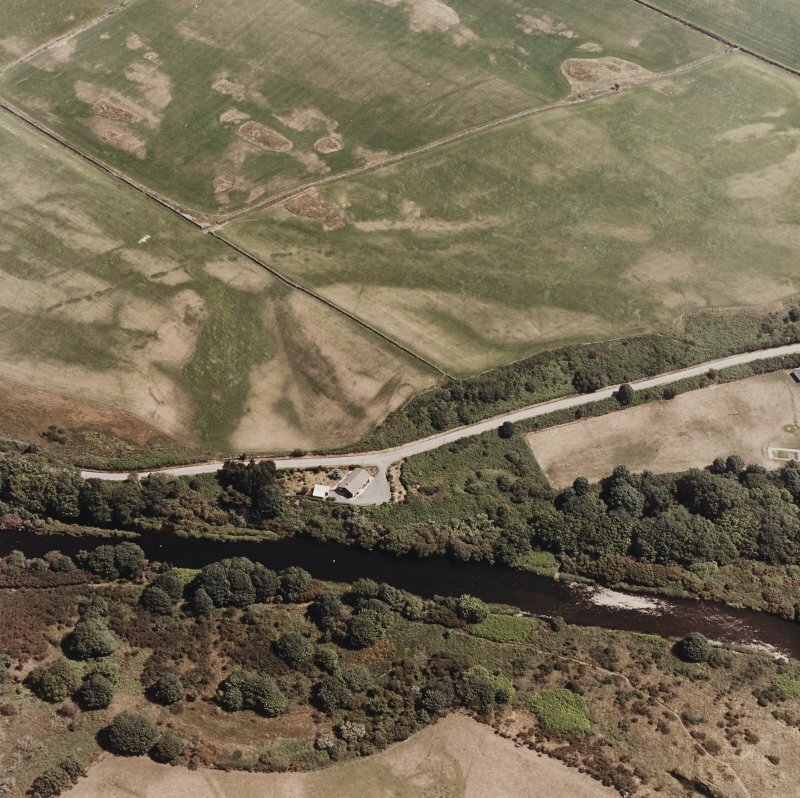 The camp is slightly irregular in form, but measures about 465m from northeast to south-west by almost 400m transversely, enclosing 17.9ha (44 acres). 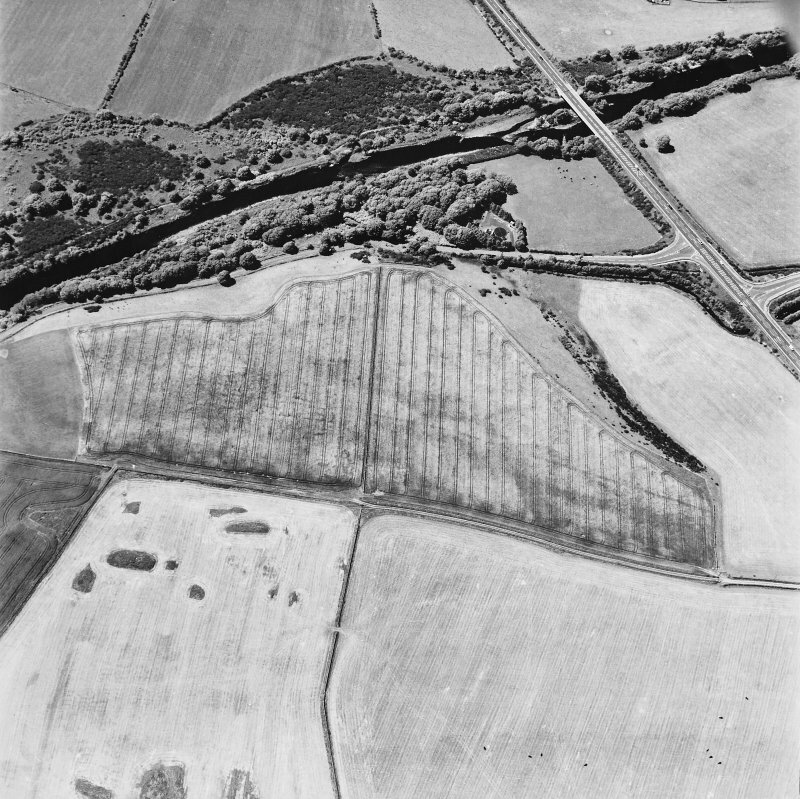 An entrance gap protected by a titulus is visible in the south-west side.